Carl Ginsburg prepared the ground well for this talk in his keynote address, Is There a Science of the Feldenkrais Magic? at the beginning of the European Feldenkrais Conference, Heidelberg, Germany. Carl discussed our dilemma as Feldenkrais practitioners: we, as well as our students and clients, know in our experience how effective this work is; we know that "body and mind are one". But we are unable to supply" scientific proof" for this, at least not by way of the standard controlled experiment where, ideally, all variables are kept equal except for the one to be tested. Carl touched on a number of developments in modem science that have begun to address the phenomenological realm of lived human experience and consciousness, considered as purely 'subjective' and therefore of no immediate relevance in the strictly 'objective' traditional approaches, such as Behaviorism. That relatively new research,.including the work of the Chilean biologist and neuroscientist, Francisco Varela, corroborates what Moshe Feldenkrais discovered through systematic experimentation with movement and awareness, first within his own experiential field and later by teaching and observing others individually and in groups. Varela actually met Moshe in the 70's, a time when the biologist was still a marginal 'heretic' in neuroscience. Varela began his lecture by saying that he had accepted the invitation to speak at the Feldenkrais Conference because he sees a significant degree of convergence and resonance between his scientific and our practical work. The point of contact is human experience, how people embody their minds in daily life. He wanted to give us an insight into Cognitive Science and the tremendous evolution it has undergone during the last twenty years. Cognitive Science was established as a discipline after the war, bringing together various traditional fields concerned with study of the mind, to which the newly formed field of Artificial Intelligence was added. Twenty years ago, Varela's own ideas about mind and cognition were quite different from those held by most of his colleagues. But over the past two decades, what used to be minority views have become much more prominent. Today, there are thus two opposing styles of work: the old, still widespread, approach and a new direction. These contrast with each other in the their guiding metaphors and leading ideas. After the war, the computationalist view predominated. Here, a clear-cut distinction is made between inside and outside. The mind is thought to be in the head ('embrained'), while the brain is likened to a computer, an information system, processing a certain amount of 'input' from the outside world and eventually producing a specific 'output' in the form of behavior. Knowing is understood as an internal representation of what is perceived or can be extracted from the outside, while the internal processing of such information is understood to be happening "in the best Western tradition (mathematics and logic), namely 'symbolically'. The computationalist approach is therefore also known as the representationalist view. Later in his talk, Varela added that this model deals with inexperienceable entities. Thus, the mind is something disembodied yet somehow present in the system. The computer called Hal in the spaceship of Stanley Kubrick's film "2001" is a "perfect incarnation of the idea that mind is some kind of pattern that eventually creates a self. Very difficult to imagine how!" The alternative embodied point of view, to which Varela adheres, is now growing in strength. Here, the mind is seen to be 'embodied'. This means that perception and action, sensory and motor processes, are inseparably linked as the living organism interacts with its environment. The distinction between inside and outside is "erased by the fact that the fundamental point is how the body is handling, moving, perceptually acting - and therefore what you do and how you perceive and understand are inseparable", This is also called the enactive point of view because the cognitive system is seen to be shaping the world in which it finds itself, "bringing forth its world by action." From the 'embodied' point of view the key problem is: "How do you integrate all the other specialized processes and regions of the brain and the fact that the brain is literally rooted in the rest of the body in a dramatically rich way?" As an example, Varela mentioned the intimate interconnection between nervous and lymphatic systems: minute nerve terminals innervate each lymph organ; all the cells of the nervous system are surrounded by fluid so that "your brain is literally bathed in the rest of the body's balance". Therefore, even gases can act as neurotransmitters as they are diffused through the body. The understanding of 'motor-sensory' action in this model goes beyond muscles and nerves. It includes all the spheres of the body where there is a root for a bi-directional neural process. Using the function of vision as an example, Varela sketched two diagrams in order to demonstrate the shift from the traditional view and its idea of stage by stage local information processing to what he called large scale or long range integration. Conventionally viewed, in terms of the inner-outer model, vision involves aspects of the world. being picked up by the retina, nerve impulses being transmitted by the optic nerve to the thalamus (a kind of first relay station in the brain), and then on to the visual cortex in the-occipital lobe and other specific areas for so-called "higher processing." The second diagram made clear that the shift of paradigm is literally to be seen if one looks at the same process from a slightly changed perspective, taking the entire set of embodiment into account. The one-way routes from the outside to the cortex are replaced by a network of bi-directional connections, or sensory-motor loops, linking all the parts involved in vision in an ongoing, two-way, large scale interaction. Thus, the very action of the retina is part of a sensory-motor loop. In this model, visual 'input' has been replaced by the concept of visual 'coupling'; whatis picked up , outside is modulated to a greater or lesser extent by processes inside the system and vice versa. The most astonishing research result within the framework of the embodied model: each neuron in the thalamus receives more electrical influences from within the brain than from the eye. Studies focusing on the processes involved in understanding, knowing, and cognition required a similar shift in the interpretation of the brain, which can be summed up in the statement, "As a fundamental true rule there is no unidirectional action in the brain; everything is bi-directional". Initially, research mainly involved simple living organisms and animals, particularly trained monkeys with electrodes implanted in their brains. A small Californian snail (called Aphysia), whose organism basically constitutes a pool of sensory and motor neurons became especially important to neuroscientists. Slow and easy to work with, it helped validate the idea that sensory-motor integration or coupling is the one thing all living creatures with a 'brain' have in common. They all understand and come to be in the world by the same fundamental logic: if there is no movement, there is no brain. By injecting dye material into the snail, the creature's entire nervous system could be observed by optical means while it was moving about, encountering edges, responding by a change of direction, etc. The experiment showed that the body surface with which the snail encountered the world (two of its sense and motor organs are called siphon and gill) is the surface of sensory-motor coupling. The dye began to glow and colors changed wherever neurons were active. Transient patterns of simultaneous neural activity in many cells appeared and disappeared, proving clearly that "the whole bowl of spaghetti" was involved with all its bi-directional connections. That is to say, there are no 'lines of transmission' as posited by the computationalist logic. Instead, whole cell-assemblies momentarily come together in large-scale interaction. Using a mathematical term, such instances of transient cell-resonance are called RELAXATION RESONANCE or RELAXATION RESPONSE. Varela employed a number of diagrams to illustrate how the size of cell-assemblies involved in this process can vary. For example, when a cat takes a step to press a lever, one third to 40% of its brain is involved in that action. In the case of the snail changing direction, this increases to nearly 100%. He compared the relaxation response to a more sophisticated conversation at a cocktail party which goes backward and forward until understanding or agreement has been reached. "Out of all that chaotic back and forth, something shapes up as a coherent transient pattern which then disappears." In this way, the living system constantly creates moments of presence, action and perception. The relaxation response, which only takes a fraction of a second to achieve, constitutes moments of coherence corresponding to chunks of time. Behavior can thus be seen as coming in groups; and the idea that time is linear cannot be upheld any longer. As an example, Varela demonstrated how turning around to look at Carl constituted one such cognitive present or relaxation response, while recognizing his face - instead of a turtle - constituted another, involving an even greater number of neurons. There is a mystery though: "How can the body-brain create those consistent functional aggregates that allow me to turn and foveate instead of falling down the stairs?" There simply is no higher command or attention center controlling all the neurons involved in the complexities of human behavior. Instead, there is true cooperation, a kind of democratic game between many different areas of the brain that have to do with vision, emotional tonality, memory, attention, sensation, etc. Looking for a plausible answer, Varela and other colleagues found inspiration in Walter Freeman's work. Freeman had been saying for the last 20 years that there is one simple way self-selection of cell-assemblies can happen, namely in a musical way. Groups of neurons enter into literal resonance with each other, firing in fine-tuned synchronous patterns. For a fraction of a second, before a new relaxation response arises, this temporal synchrony creates "true coherence in long stretches of the brain and body". (This happens in the gamma band, involving rapid oscillation between 30 and 100 cycles per second.) It was found that these fine-tuned synchronous processes are self-enhancing, involving ever larger cell-assemblies, creating the conditions for the arising of new moment of cognitive presence ("The more we synchronize, the more we synchronize" - " The more together we are, the more temporal glue that binds us together"). Such insights constitute the beginnings of a mechanism capable of explaining how large-scale integration of all the components of a mental cognitive act can create the totality of unity experience and behavior. Over the past 5 years, a handful of research projects have been devoted to the study of lived human experience. The topic of human consciousness is therefore no longer taboo. To deal with it effectively, however, required adoption of a new style of research as a fresh challenge. The moment cognitive scientists ask such questions as, "How is the cognitive present constituted? ", they are faced with the phenomenological issue of how we experience and live in time. A few scientists began to regard first person accounts as valid and vital in the pursuit of this issue. They started to employ the methods developed by phenomenology, a discipline concerned with practical ways in which the structures of human experience can be submitted to methodical analysis and checked intersubjectively. "REDUCTIONISM" can be summed up in a quote from biologist and Nobel Prize Winner Francis Crick's book The Astonishing Hypothesis: “You have to come to realize that you are just a whole pack of neurons." "FUNCTIONALISM" accepts individual experience as valid, but believes that observation can only happen from the outside, with the scientist proceeding like an anthropologist looking at other cultures. "MYSTERIANSIM" attempts to find interesting arguments about why consciousness-mind, consciousness-brain interaction is an insoluble problem. Varela stressed that his own work belongs in the tradition of Phenomenology. Like Edmund Husserl and Merleau-Ponty, the originators of Phenomenology, and certain schools of Buddhism, he is convinced that "we owe an unpayable, eternal debt to experience, for that is where we find ourselves and where we start. Everything we do is based on experience. So better put the immediacy of our own experience at the very foundation of our research!" In other words, embodiment of mind cannot be understood unless the scientist makes reference to his or her own experiences. The structure of human time is a particularly deep and difficult issue in Phenomenology. Relevant western studies, including Varela's research in Paris, confirm what many Buddhists have understood all along: that lived time is a combination of 'flow' and discreet aggregations of presence, chunkiness superimposed on continuity. There is no contradiction in the fact that we live in a stream of consciousness and also in discrete moments of experiences. Varela and his team are now in a position to begin to show how their research data, the external scientific account of 'cognitive present,' 'large-scale coherence of cell-assemblies', etc. is matched and illuminated by phenomenological subjective accounts, and vice versa. 1) more general acceptance of the 'embodied' point of view, i.e. the fact that cognition is about being in the world; perception-action is the central and basic grounding of all cognition, and the body sustains what happens in the mind. 2) a revival of the study of human experience which will require some revolutionary, potentially subversive steps: incorporation of the first person account into detailed scientific description; and training scientists in an unfamiliar style and method. "Good science and disciplined accounts of human experience have to shake hands!" Varela closed on an optimistic note: “I am convinced that a phenomenological training has to be introduced into the cognitive sciences. The kind of work you are doing is already moving in that direction...” and expressed his belief that the resonance he had initially talked about can become a powerful fact if, in future, we really push the frontiers of mind and embodied consciousness. Swiss film-maker Franz Reichle interviewed Francisco Varela shortly before the scientist’s death at the age of 54. Reichle’s film “MONTE GRANDE: What is life?” (2005) is an inspiring tribute to Francisco Varela’s invaluable contribution to a more sane and humane science. 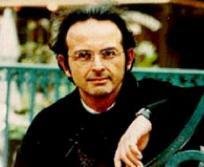 Francisco J. Varela, Chilean, neurobiologist and consciousness researcher, was one of the world’s leading cognitive scientists. Until his premature death in 2001 he was Director of Research at the Centre National de Recherche Scientifique and Professor of Cognitive Science and Epistemology at the Ecole Poly technique in Paris. Apart from numerous articles in the fields of sensory physiology, biological modeIing, and immunology, he has written several books.